If you are like most drivers, you have probably purchased, or will purchase, a used vehicle at some point. 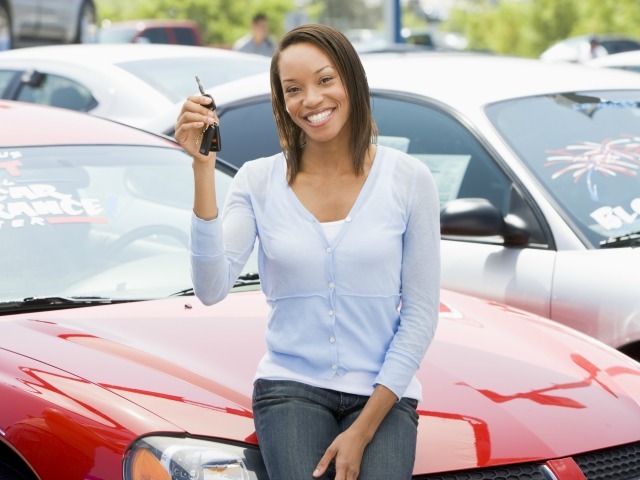 Used cars are more affordable, and in some cases even more reliable, than new vehicles. For many people, used vehicles are their only option, considering the high price of new vehicles. When you first begin, you may not know anything about the car that you want, except that you need to fit your family of four into it. Or, you may have exact specifications in mind for the capacity, weight, make, and model of a car. Whatever your situation, it’s best to start with a used car database that gives you broad search functions. A website like Edmunds.com allows you to compare vehicles side by side, and search with only a few filters so that you can see far more options. Once you’ve narrowed your needs down to a target vehicle, you can move on to a highly specific search engine like Kelley Blue Book, where you can begin gathering more information. If the used car site you use to research provides a link to check out the CARFAX history report on a specific sale listing, you should always follow up on that. Vehicle history reports run around $30 on average, and can save you a very expensive – and potentially dangerous – mistake. With used cars, buyers are often at the mercy of a seller, because there is no manufacturer setting the price like a new car. However, just because the seller can ask for a specific price, doesn’t mean you should pay that. This is where a website like Kelley Blue Book comes in very handy. You can enter the details of a car, down to the special features, damages, mileage, and any other details, and receive a price range of the fair market value of a vehicle based on its exact specifications. This can help you negotiate a better price with a dealer or a private seller. There is only so much that online research can do for you once you’ve found a listing that you like. The next step is to see the vehicle in person. There are two things that you should always do with a used car before you buy: test drive it, and have it inspected by a third party mechanic. Dealerships often have their in-house mechanics check a vehicle over, but keep in mind that those are paid employees. Test drive the vehicle to a mechanic of your choosing, and have them look over the car before you sign. If everything checks out, and you’ve done all your homework, you are on your way to a great purchase. By utilizing all the websites and research that you can find online, you can avoid the high-pressure sales tactics of dealerships, and get better deals from private sellers. Be sure you take your time, no matter how badly you need a car: making a bad vehicle purchase is far worse than a few more weeks on the bus.